Spring cleaning is a tradition that many homeowners take part in to revitalize their home after the winter season. While shampooing carpets, cleaning out closets, and scrubbing down the outside of a home are common activities that most spring cleaners take part in, water systems are often neglected. However, given that water systems are very important to any home, it is wise to give them a thorough cleaning and check for any issues that may be present. 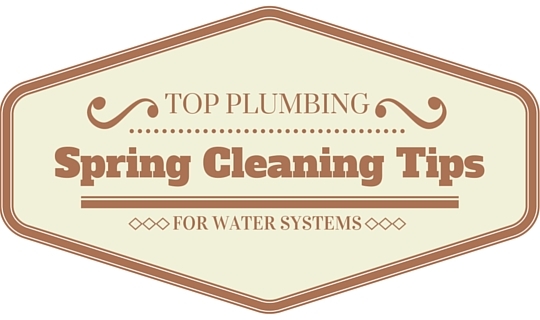 Here is some handy plumbing spring cleaning tips that homeowners can use to keep their system in great shape. Everyone has experienced a minor clog in their pipes at one time or another. While these problems can usually be handled with a few chemicals available at any local retailer, certain types of blockage within pipes require a different type of solution. Your pipes are a very important part of your water system, but many are worried about how cleaning or repairing pipes will affect their property. Though traditional water line repair and traditional waterline replacement often bring to mind images of torn up lawns, new and less-intrusive options exist. Trenchless water line repair and trenchless water line replacement can clean up and repair pipes without causing any damage to your yard. Though pipes are very important, it’s important to check other parts as well. You may think that the dripping spigot in your bathroom or the leaky faucet in your kitchen are more of an annoyance than anything, but spring cleaning is a great time to give these minor issues the attention they need. A problem like this may not pose an immediate threat to the usability of your water system, but any small issue can grow worse overtime. In addition, small leaks can increase the price of your water bill by quite a bit overtime, so servicing these parts and replacing them as needed is a cost-efficient choice. Kitchen appliances, outdoor hose heads, and other small components should also be checked and replaced as needed. Your water heater may be robust enough to make it through the winter season, but that doesn’t mean it couldn’t stand a bit of servicing. Even after the outdoor temperature rises, it’s important to keep an eye on the temperature of your water heater. Keeping it at around 120°F can allow for optimal safety and energy use. Also, check for instructions in your water heater’s manual concerning the proper way to empty water from the tank and prevent corrosion. Taking similar steps with your home’s furnace and sump pump can ensure that they continue to provide reliable service when you need them most. 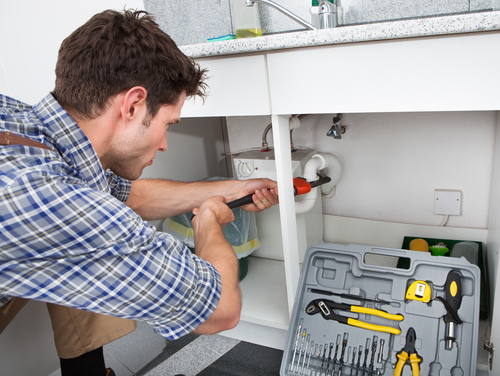 Your home’s plumbing system is very important, and spring cleaning provides a great opportunity for you to service these important parts and components. Want to make sure you get proper servicing from industry experts? Contact Accurate Leak and Line for high-quality water system services. You can get everything from simple maintenance to trenchless water line repair for a great rate!